An early 19th century, fruitwood sugar mould carved with a cornucopia. This piece dates from c.1830. It is very deeply carved with two cornucopias which, if you put the two parts together, would produce a three dimensional form. 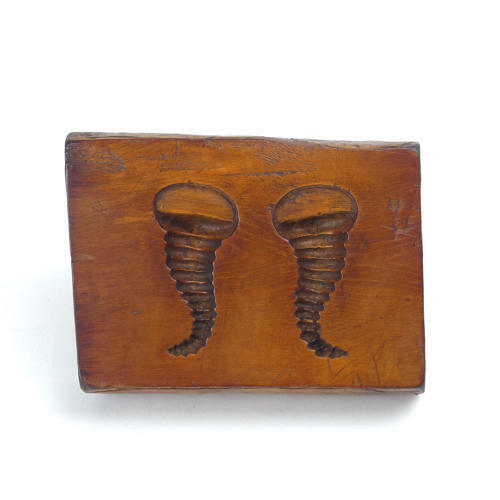 These moulds were used for decorative sugar work and this example is in excellent condition.